Canada provides no incentive to buy cogenerated electricity in terms of the price paid for it. Prices paid to generators for electricity from wind or solar sources are much higher than the market price. Generators of cogenerated electricity are paid no more than the market price for cogenerated electricity. The environmental benefit justifies providing a significant incentive in terms of the price paid for cogenerated electricity. With appropriate arrangements Cogeneration systems can be islanded to keep key processes operating during grid failures. This adds to the value of cogenerated electricity. If costs are correctly allocated both the electricity and the process or space heat cost less. Single purpose thermal electric power plants reject some 50% of fuel heat to water bodies or the atmosphere, potentially causing thermal pollution. Cogeneration systems use this recovered heat for purposes such as industrial processes (e.g. paper drying, chemical processing, food processing) and space heating or cooling (i.e. with absorption chillers). Cogeneration hence enhances industrial competitiveness and environmental performance through cost reduction, reduced emissions and better resource use efficiency. In Canada, Eco-Business Zones, Eco-Industrial Parks and Eco-Industrial Networks (referred to collectively herein as EBZs) exist across the country and have enjoyed some success. 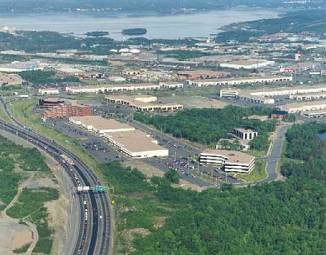 A well-known example is Burnside Industrial Park, in Halifax, NS. With support from Dalhousie University?s Eco-Efficiency Center, more than 1,500 businesses in Burnside have been improving their environmental performance and developing profitable partnerships. Thus EBZs have potential for many location synergies. For example, a profitable arrangement could be to locate a machine shop, a spare parts warehouse and a maintenance worker headquarters in an EBZ. This reduces travel time and related energy impact. It could also be logical to locate an industrial training school or a department thereof in the EBZ to facilitate on-the-job training mixed with classroom training. "Cogeneration-based Eco-Business Zones are the right road to Sustainable Industrial Development"
This concept involves co-locating groups of industrial processes using electrical and thermal energy with a single cogeneration facility producing electric power and heat. Surplus recovered heat from the Cogen system or proceses can be used in other processes or nearby district heating systems. Thermal energy can now be used for both heating and cooling (trigeneration), which can help reduce both summer and winter peak loads on the grid. The fact that a single cogeneration plant serves the entire network achieves economies of scale in both capital and operating cost associated with energy supply, which represents a major advantage of EBZs. The following tabulation demonstrates the potential of larger systems4 . EBZ networks can be islanded (i.e. work independently from the grid) so the cogeneration plant can continue to supply electricity despite grid failures. The concept suits both heavy and light industrial parks and can help attract new industrial plants or add more processes to existing plants in an EBZ. For example, representatives from Syncrude shared with COGENCanada that one of the main reasons they use cogeneration is to keep the processes running during grid failures, since it can take days or weeks to restart some processes following an unplanned shutdown. Because the electricity generation facility requires a certain minimum load when the system is islanded, attracting a mix of heat intensive and electricity intensive processes to an EBZ is important. Among the main challenges to completing a cogeneration project is having all the players work together ? the cogen system may be owned and operated by the steam user, an Independent Power Producer or the Utility that distributes the power along its power lines. The operators of the Cogen system and the steam host or heat user (factory or building owner) must cooperate. Firm electric power (available when required) is worth far more than power available only part of the time. To provide firm power a combined cycle Cogen system must have an extraction condensing steam turbine so the electrical output does not depend on the fluctuating process steam requirement. The distributor will likely impose a penalty standby charge) when the Cogenerator cannot deliver the electricity under contract. Regulators should ensure that this is reasonable. The Cogenerator will likely be able to help meet peak demand. Cooperartion among steam heat user, distributor, cogenerator and regulator is essential. All natural gas combined cycle systems should have a base-loaded cogeneration component. Flexible combined cycles provide firm power, peaking power, and spinning reserve. The flexibility is provided by using an extraction condensing steam turbine. The condenser rejects heat at a temperature so low that it has limited use. There may be processes in the network which can use this very low grade heat in cold weather. Steam should be lost at the condenser only during peak loads. The Ontario Power Authority pays 13.5 cents per kWh for wind-generated electricity. 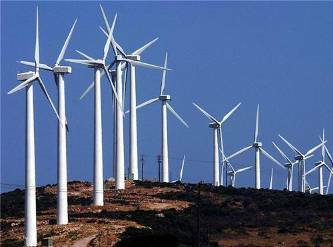 Higher prices are proposed for other forms of ?Green Electricity?. Because the demand for electricity varies during the day (from less than 13,000 MW at 3 AM to more than 18,000 MW at 6 PM), market prices vary accordingly between about 3 cents to 5 cents per kWh. A good way to have the cogeneration system follow the steam host's steam load is to use a burner between the gas turbine and the heat recovery steam generator (HRSG). The amount of duct burning follows the steam load. In one case the steam turbine has a capacity of about 12 MW without auxiliary firing and 30 MW when the auxiliary burner between the gas turbine and the HRSG is fully on. The gas turbine exhaust is roughly 15% oxygen so combustion air need not be heated. As a result the natural gas is burned at an efficiency some 10% higher than it would be with a conventional boiler. As well, the additional air otherwise needed would have exited the stack at a temperature higher than outdoor temperature ? a wasted heat load. Given the technical capabilities of heat transmission systems, COGENCanada encourages Economic Development Corporation to facilitate networking between businesses and light industrial parks nearby an EBZ. Neighbours could take advantage of recovered heat coming from processes or from the Cogeneration system to meet their heating and cooling requirements. 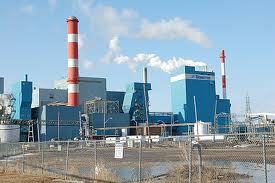 The 450-MW cogeneration plant serving a major petrochemical complex in Joffre, AB. Cogeneration should also be encouraged for light industrial parks where non-energy synergies may be more important. Reciprocating engines using light liquid fuels or natural gas can cogenerate for smaller systems. For example, the Burnside Park in Nova Scotia could potentially benefit from a cogeneration system. Fuel Cells produce both electricity and reject heat (cogeneration) using hydrogen. A cogeneration system could produce hydrogen by electrolysis at night, and the hydrogen would be used by a fuel cell to produce electricity during peak periods. Using cogenerated electricity at night can be a problem. Polygeneration is an alternative. Bio Energy can be used for steam turbine cogeneration by burning wood residues or pulping liquor. There are many of these in pulp and paper mills. The benefit of cogeneration depends on the fuel displaced from a single purpose power plant by the electrical output of the cogeneration plant. Most pulp and paper mills use wood residues such as bark or surplus wood chips to fuel steam boilers supplying steam turbines to generate electricity. Lumber mills produce surplus chips using slabs cut off to square logs to be made into lumber. Chips from the slabs and other residue should be used as fuel usually in a nearby pulp mill to generate electricity. Biomass steam generation without cogeneration produces no more emissions per unit of fuel burned than would be produced if the material were incinerated or allowed to decay. Biomass cogeneration displaces fossil fuel otherwise used to generate electricity at single purpose plants as well as to generate the process steam. This reduces emissions. Much more electricity could be produced if biomass could be gasified for use in a gas turbine combined cycle- a likely development in the near future. Biogas from anaerobic digesters can be used in cogeneration systems based on municipal waste treatment, manure, etc. Steam can be extracted from the steam turbines of nuclear power plants for use in industrial processes. This was done at the Bruce nuclear power plant in Tiverton, ON. A standby fossil fuel plant can be used if the nuclear plant is shut down or during periods of peak loads on the grid. The CANDU reactor can provide low-grade heat from the moderator coolant with no reduction in electrical output. Polygeneration adds a new dimension to chemical, petrochemical and oil refining complexes. Integrated Gasification Combined Cycle (IGCC) Systems can gasify coal, petroleum coke and other inputs to produce electricity and process heat, as well as hydrogen which can be converted to ammonia used to produce a variety of chemicals products such as nitrogenous fertilizer. This approach is particularly well suited to Sarnia, where the coal fired Ontario Power Lambton Generating station has major coal handling facilities. An IGCC polygeneration plant could be built on that site, producing pure CO2. According to a recent study of Sarnia by sequestration experts, this CO2 can be sequestered by pipeline. Carbon dioxide capture and storage (CCS) is being widely studied. Hydrogen could be used for fuel cells and in nearby chemical plants and oil refineries. There are opportunities in Alberta. In one case bitumen is being gasified to produce the mixture of hydrogen and carbon monoxide to fuel a combined cycle supplying electricity, process heat and hydrogen for an *insitu oil sands project. Eco-Industrial Networks are ideal for greenhouses because the gas turbine exhaust or engine exhaust can be a source of CO2 to promote the growth of plants. In smaller systems engine exhaust can be used. As well, heat from the cogeneration system can be used to heat the greenhouse allowing operation in cold weather. In addition to vegetables etc. tree seedlings can be grown to produce trees which will absorb carbon dioxide thus reducing the greenhouse effect. COGENCanada also maintains training and advocacy functions and is assisted with training efforts by Ray Cote, a world-class authority on eco-industrial networking and energy. Some 33 Cogeneration Technology Courses and four Cogeneration Conferences have been delivered. We now plan to add webinars, class room courses with some people attending via the internet. Our course/worships are technical but conferences are of general interest. COGENCanada has the support of the government of Canada. 1 Cogeneration and Combined Heat and Power (CHP) are synonyms. COGENCanada uses cogeneration, a bilingual, euphonic word. 2 Cogeneration and Combined Heat and Power (CHP) are synonyms. COGENCanada uses cogeneration, a bilingual, euphonic word. 3 Example presented by Ray C?t?, professor at Dalhousie University. 4 These are prices for equipment only. The following uses an example where where 90% of the fuel heat is rejected. Modern single purposes thermal electric plants reject 40% to 50% so a larger fraction of the fuel heat is converted to electricity. The illustration emphasizes the benefit of cogeneration. Thanks, Gordon. I agree that the example I chose was not a modern, efficient plant. I chose it because I wanted to demonstrate cogeneration in as simple a form as possible. You could edit the text in the paragraph that mentions cogen in petroleum refineries or pulp and paper mills, to state that modern power plants are more efficient (electrically) than the text example.
? Cogeneration is the sequential production of useful mechanical power and useful heat in the same engine.
? Often stated as, "electricity and steam from the same engine"
If you live in the northern part of the northern hemisphere, you probably have used a cogeneration system in the last few days. 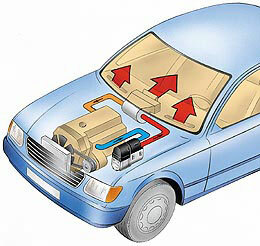 The engine and heating system of an automobile are a cogeneration system. The engine provides mechanical power to the wheels, from the heat of combustion of the gasoline. At the same time, the engine releases heat for the passenger compartment and the defroster. 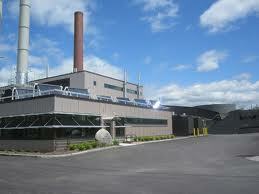 Here is an Example of A Cogeneration Project. 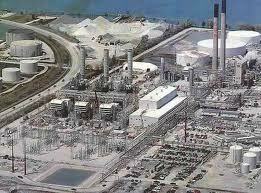 This natural gas-fired generating station is located on the waterfront of a city. The plant is operated continuously for 3,000 hours, every winter. 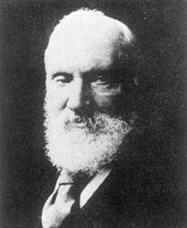 The low efficiency of our power station is a consequence of the 2nd Law of Thermodynamics, first written by William Thompson, Lord Kelvin, in 1851, an inescapable physical law, like the Law of Gravity. Not everyone understands the 2nd Law of Thermodynamics. In the 1970's, US Senator John McClellan threatened to repeal the 2nd Law. And now, the Cogeneration Project. The District Heating Boiler is removed. low-pressure steam District Heating System. Here are the Energy Totals for the new Cogeneration System, during the 3,000 hour annual operation. The Cogeneration Project generates 20 MW of electric power and all the steam needed to heat the buildings during the 3,000 hour annual operation, while consuming only 56.7 million scm of natural gas. Before the Cogeneration Project, the two separate systems consumed a total of 102.0 million scm of natural gas during the same 3000 hour annual operation. Net Energy Savings from cogeneration are 102.0 - 56.7 = 45.3 million scm of natural gas per year. 193,000 - 107,000 = 86,000 tonnes CO2 . What is emissions trading (or, if you prefer, "cap-and-trade")? A market-based policy tool that establishes an aggregate emission cap on total emissions from a group of sources and creates a financial incentive to reduce emissions. The emission cap is expressed as allowances distributed to individual emission sources that must surrender allowances to cover their emissions. The program provides flexibility for sources with low-cost reductions to reduce even further and sell allowances to others with higher costs of control, resulting in achievement of the environmental goal at lowest cost. 1.The Government passes a Regulation. 2.Specified Capped Facilities: major direct GHG emitters, e.g. fossil fuel electricity generators - will be "under the Cap" - must participate in emissions trading. 3.The Cap a specific, regulated maximum tonnes of GHG emissions from the total of the Capped Facilities in each specified year, e.g. 300 million tonnes in 2015, 290 million tonnes in 2016, 280 million tonnes in 2017..The Cap should be smaller than last years total emissions by the Capped Facilities, and smaller than the Business as Usual Forecast for these facilities. The Cap should become smaller and smaller, from year-to-year. 4.Registry like a bank ledger, visible to the public. Each Capped Facility will have an Account on the Registry. The Government will have its own Account on the Registry. Brokers are allowed to open Accounts on the Registry. The Retirement Account on the Registry will be the graveyard for Allowances which have been used up. 5.Allowances An Allowance is a permit to emit something into the environment. Each year, in January, the Government will create Allowances for GHGs, one Allowance for each kilotonne of GHG in the Cap. Each Allowance will have a certificate with a unique serial number. At the beginning of the year, (starting in e.g. 2015) the Government will deposit the new Allowances in its own Account. 7.Monitoring and Reporting Each Capped Facility must monitor its direct GHG emissions during the year, completely, accurately and honestly. At the end of the year, each Capped Facility must report to the government its total direct GHG emissions for the year. 8.Offsets An Offset is a reward for emission reductions outside the Capped Sector. An organization which is not a Capped Facility can complete an emission reduction project and apply to the Government for creation of Offsets, to reward the emission reductions. If the Government agrees that the emission reductions were real and satisfy program requirements, the Government will create a specific number of kilotonnes of Offsets and transfer these new Offsets to the applicants Account in the Registry. 9.Offsets and Allowances are both Tradeable Units in the Registry. 10.Trading At any time, any Account holder can buy Tradeable Units from, or sell Tradeable Units to, any other Account holder. (Exception The Tradeable Units in the Retirement Account never leave the Retirement Account.) The transfer of Tradeable Units from one Account to another must be recorded in the Registry, with the serial numbers. 11.Retirement At the end of each year, each Capped Facility must Retire (transfer to the Retirement Account) enough Tradeable Units to equal its reported annual direct GHG emissions. Current, operating greenhouse emissions trading (ET) systems include the European Union (EU) system, the UNFCCC system (largely for developing nations), the RGGI system in the northeastern US states, and the New Zealand ET system. Plans for ET systems have been stopped in the USA, Japan, Canada and Australia. The Canadian province of Alberta is operating a Baseline and Credit system for large emitters. California and British Columbia have definite plans to implement ET systems. China, India, Taiwan and Korea are planning ET systems. The Western Climate Initiative is planning an ET system for 7 US states and 4 Canadian provinces. A capped facility which generates its own power and steam can reduce its annual emissions significantly by switching to cogeneration. After implementing cogeneration, the facility will not need to retire as many Allowances at the end of the year. The emissions trading system may feature a cogeneration credit scheme, to reward cogeneration by capped facilities. Abitibi Bowater, in Thunder Bay, Ontario, cogenerates its own power and steam. An uncapped facility is not required by regulation to participate in emissions trading. However, an uncapped facility may choose to implement cogeneration, and then apply for Offsets to reward the emission reductions. If a successful recipient of Offsets, the uncapped facility can then sell them to a capped facility. 1.Report annual totals for all energy quantities, and greenhouse gas emissions. 2.Express each annual energy quantity in universal metric units. 3.Calculate how many % of total useful energy are thermal, how many % are mechanical or electrical. 4. Apply these percentages to total greenhouse gas emissions, to calculate how many tonnes of emissions are attributable to useful thermal energy, and how many tonnes attributable to useful electrical energy. The monitoring instruments provide information to a computerized, continuous energy and emissions monitoring system. At the end of the year, the monitoring system shows the totals for all significant energy flows and air emissions during the year. In this example, wheres the CO2 meter? How do we know how many tonnes of CO2 were emitted by the gas-fired cogeneration system during the year? The highly accurate gas meter transmits the exact number of standard cubic meters of natural gas which are burned during the year. The computer can convert this total consumption of natural gas, a fuel of standard chemical composition, to total CO2 emissions, by calculating a mass balance. Combustion of each standard cubic meter of natural gas emits 1.89 kg of CO2. The Clean Development Mechanism (CDM)of the United Nations Framework Convention on Climate Change creates CER Offsets for emission reduction projects in developing countries. The Offset owners can then sell these Offsets to Capped Facilities in the EU emissions trading system. The Capped Facilities can retire these Offsets to supplement their retirement Allowances. Currently, for the entire Province of Alberta, most of the electricity generating capacity is provided by coal-fired boilers, which are high emitters of greenhouse gases. An excellent 2007 article from Power Gen Worldwide outlines the role of cogeneration in the oil sands, and the opportunities for cogeneration to supplement Albertas existing electricity generation system. In Alberta, 36 new natural gas cogeneration projects were built between 1998 and 2009, increasing the provinces generating capacity by 1869 megawatts, or 16%. A 2010 Report for the Alberta Energy Research Institute by Jacobs Consultancy and Life Cycle Associates shows that cogeneration in the oil sands could bring the net greenhouse gas emissions per barrel of synthetic crude oil to within a few percent of emissions from typical conventional crude petroleum from Nigeria or the US Gulf Coast. However, the study did not examine the mechanism for transfer of the emission reductions to the provincial electricity system through emissions trading. This project, with its total emissions of 107,000 tonnes CO2/year, if located in Alberta, would exceed its baseline by 107,000 - 105,090 = 1,910 tonnes of Alberta emission performance credits, in the first year. The owner would need to improve the efficiency of the cogeneration system, or buy and retire 1,910 tonnes of emission performance credits in the first year. In subsequent years, with lower baseline allocation intensities, the project would probably emit even more than its baseline. Single purpose thermal electric power plants reject between 50% and 65% of the fuel heat to rivers, lakes, the ocean or the atmosphere. The heat rejected by single purpose thermal power plants may cause thermal pollution. Cogeneration systems use this rejected heat for purposes such as paper drying, chemical processing, food processing etc., as well as space heating or cooling (absorption chillers). 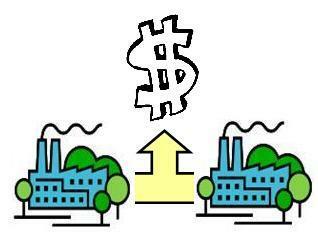 Cogeneration enhances industrial competitiveness through cost reduction. It reduces emissions. Many industrial and institutional plants use interruptible natural gas with sulphur bearing Heavy Fuel Oil (HFO) as an alternate. The HFO has a far greater adverse environment impact that does natural gas. When gas turbine or combined cycle cogen takes over the HFO is gone. Cogeneration produces given amounts of electricity plus process heat with much less fuel than when they are produced separately. Significant reductions in GHG and other emissions are assured. Transmission losses are reduced. With appropriate arrangements Cogeneration systems and selected loads can be kept running during grid failures (blackouts) avoiding costly shutdowns. Many cogeneration systems serve a single steam user such as an industrial plant, a university or a hospital. The aim should be to group thermal energy users in Eco Industrial Networks. This achieves economies of scale. in the cogen system serving the network. Cogeneration-based Eco - Industrial Networks are the right road to Sustainable Industrial Development. This concept involves co-locating electric power producing facilities near groups of industrial processes using electrical and thermal energy. Outputs and waste from one process become inputs to other processes in the network. A single cogeneration Page 2 plant serves the entire network achieving Economies of Scale as noted.. Steam cannot be transmitted more than 4 or 5 km. However, heat can be transported much further in low temperature hot water, or higher temperature heat transfer fluids such as Dow Therm, Therminol or hot oil. Some processes more distant from Cogen system and industrial waste heat sources can be included in the network. Industrial Development people should locate Businesses and Light Industrial parks or near plants with available recovered heat to take advantage of the recovered heat and heat from the Cogeneration system for heating and cooling. Natural gas, coal, wood residues, garbage, heavy (residual) fuel oil, petroleum coke, byproduct gases, liquid biofuels etc. can be used for steam turbine cogeneration. A much better approach, if the fuel can be used in a gas turbine, is to use the gas turbine exhaust to generate high pressure steam for an extraction condensing steam turbine. This combined cycle approach yields much more electricity worth about 3 times as much as the heat equivalent. Reciprocating engines fit some situations. The flexibility of a combined cycle system can be substantially increased by using a burner between the gas turbine and the heat recovery steam generator (HRSG). In one case the steam turbine has a capacity of about 12 MW without auxiliary firing and 30 MW when the auxiliary burner between the gas turbine and the HRSG is fully on. The gas turbine exhaust is roughly 15% oxygen so combustion air need not be heated. As a result the natural gas is burned at an efficiency some 10% higher than it would be with a conventional boiler. Gas turbine exhaust can be used directly in Yankee dryers on paper machines and some other drying processes such as clay drying. Heavy industrial parks - Paper machines, chemical processes, oil refining, food processing etc. are well suited to relatively large scale Cogeneration based Eco Industrial Networks. Good examples of chemical/ petrochemical/ oil refining networks are the TransAlta, Sarnia 400 MW combined cycle system serving 4 large petrochem. complexes and the Joffre AB, 450 MW cogen plant serving a major petrochemical complex. The Alberta Industrial Heartland near Edmonton has several major combined cycle cogeneration systems. 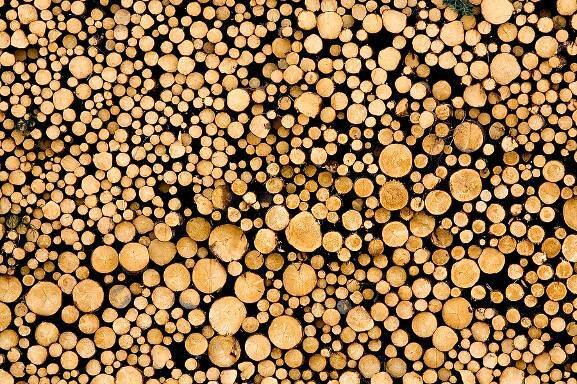 Examples of Forest products complexes with cogeneration are Catalyst in Campbell River, Bowater in Thunder Bay and Irving Pulp and Paper/Irving Tissue in St John NB. Polygeneration - adds a new dimension to chemical, petrochemical and oil refining complexes. Integrated Gasification Combined Cycle IGCC Systems can gasify coal, petroleum coke and other inputs to produce electricity and process heat as well as hydrogen which can be converted to ammonia used to produce a variety of chemicals products such as nitrogenous fertilizer. Pure sulphur can also be produced. This approach is particularly well suited to Sarnia where the coal fired The Ontario Power Lambton Generating station has major coal handling facilities An IGCC ploygenration Page 3 plant could be built on that site. . Pure CO2 would flow from the stack. This can be sequestered by pipeline according to a recent study of Sarnia by sequestration experts. 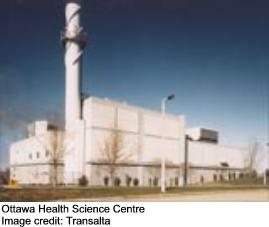 The Hydrogen could be used for fuel cells and in nearby chemical plant and oil refineries.. .
Perhaps the best example of an Institutional Eco Industrial network is the General Campus of the Ottawa Hospital. A TranAlta 70 MW combined cycle cogeneration system supplies thermal energy to a large hospital complex. One of the hospitals more than a kilometre away from the Cogen plant is both heated and cooled by a single low temperature hot water loop from the cogen plant. Absorption coolers handle summer air conditioning. Cogeneration should also be encouraged for light industrial parks where non energy synergies or symbiosis may be more important. There are many of these. An example is the Burnside Eco-Industrial Park in Dartmouth (Halifax) Nova Scotia. Thermal energy can now be used for both heating and cooling (trigeneration) which can help reduce both summer and winter peak loads on the grid. Reciprocating engines using light liquid fuels or natural gas can cogenerate for smaller systems. Bio Energy can be used for steam turbine cogeneration by burning wood residues or pulping liquor. There are many of these in pulp and paper mills. A system by Dynamotive and Orenda in West Lorne Ontario uses liquid fuel made from saw mill residues in a gas turbine cogeneration system producing The outputs are 2.5 MW of electricity and steam for the lumber kiln. The benefit of cogeneration depends on the fuel displaced from a single purpose power plant by the electrical output of the cogeneration plant. Hydro will not be displaced due to storage and export options. Biomass steam generation without cogeneration produces no more emissions per unit of fuel burned than would be produced if the material were incinerated or allowed to decay. Biomass cogeneration displaces fossil fuel otherwise used to generate electricity at single purpose plants. It reduces emissions. Much more electricty can be produced when biomass can be gasified for use in gas turbine combined cycles. Likely in the near future. Anaerobic Digesters. Biogas from these can be used in cogeneration systems based on municipal waste treatment, manure etc. Fuel Cells produce both electricity and reject heat (cogeneration). They can use byproduct hydrogen from petrochemical processes. Nuclear plants can produce hydrogen off peak. It can be made from natural gas, coal etc. There are many applications. Nuclear Cogeneration. Steam can be extracted from the steam turbines of nuclear power plants. This was done at Tiverton, Ontario at the Bruce nuclear power plant. A standby fossil fuel plant can be used during periods of peak loads on the grid. Cogeneration Project ChallengesAmong the main challenges to complete a cogeneration or combined heat and power project, is having all the players work together- the nonutility power generator(NUG) who owns the project, the Utility that distributes the power along its power lines and the steam host or heat user(factory owner or the building owner). The Utility may not want to buy the power or may put large restrictions or costs to connecting to the grid such as a standby charge in case the NUG can't meet its power supply obligation. The steam host may have fluctuating heat or steam requirements which the cogeneration system may have difficulting following. The cogeneration system might have to have a large condenser to take the steam that the factory steam host can't take and generate more electricity instead. A good way to have the cogeneration system follow the steam host's steam load is to duct burner,burning more natural gas between the gas turbine and HRSG(boiler). The amount of duct burning follows the steam load. It is efficient because, with 15% oxygen in the gas turbine exhaust, no additional air needs to be added(unless the duct burning is extremely high). The additional air would have exited the stack at a temperature higher than outdoor temperture - a wasted heat load. Another concern is lower overall efficiency because too much electicity is generated. Because electricity is a lot more valuble that heat or steam, the tendancy is to make a cogeneration system that is too large - generating too much electricity, and thus having a lot more potiential steam than the steam host can use. With only a fraction of the steam from the steam turbine going to the host, the rest goes to a condenser where heat is lost. COGENCanada is a federally incorporated not for profit association dedicated to promoting cogeneration, heat recycling, energy cascading, Eco Industrial Networking and sustainable industrial development. Helping Canadian industrial and institutional energy users, electricity generators, Industrial Development Authorities and suppliers of related goods and services is an objective. COGENCanada has the support of the government of Canada. There are training & advocacy functions. Cogeneration and Combined Heat and Power (CHP) are synonyms. COGENCanada uses cogeneration, a bilingual, euphonic word. The COGENCanada Board of Advisors includes world class authorities. Some 28 Cogeneration Technology Courses delivered.